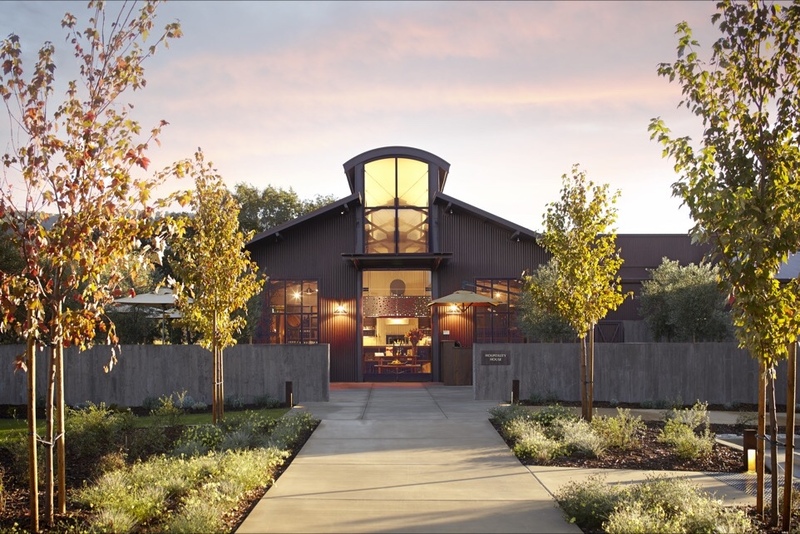 While at Alpha Omega Winery that first afternoon in Napa, it had been recommended that we visit a boutique winery called b Cellars. Especially to taste their Sangiovese. So, naturally I called and made a booking to go see what they were all about. I have been thinking back on the wine course I took at University that introduced me to the world of wine, and gave me a glimpse as to what I want my career to be involved around. Over the years I have worked very closely with wine and food. 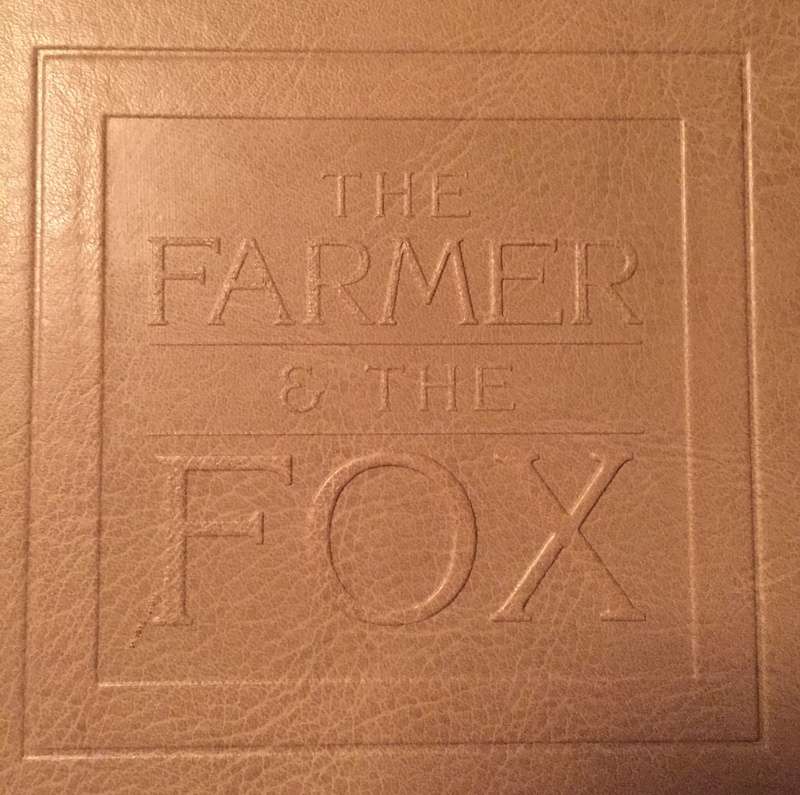 The past several years I’ve spent in the upper casual and fine dining world, where every aspect of the meal reflects the quality of the meal. A big part of this is service as well, but that is a different conversation. My thoughts have been focused on (maybe in part to do with the fact I am reading the 100 Foot Journey at the moment) what makes the meal stand out, and what those elements are. I have also been thinking about how important the proper pairing of alcohol is to the overall meal, be this wine, beer or spirit. Through these thinkings I have remembered a comment made by my professor that has really stuck with me: in Europe, the grapes grown and the wines made match perfectly the food of that region. I have not had the privilege to travel throughout Europe to experience first hand this co-incidence, but conversations I have had with others has opened my eyes to their experiences and thoughts on this. Let’s take France for example. They have a select amount of grape varietals that are grown throughout the country. Each region has its own characteristic that presents itself in the wine. For example, the gorgeous minerality of Chablis, the crisp acidity and white fruit of Sancerre, the full-body and robust tannins of left-bank Bordeaux. When you look at food produced specific to these regions you can see how magically the wines match the food. I am forgetting specific food and wine matches – one of which I have tried – but in that one experience I had, I can see how balanced everything works in your mouth. Another excellent example is Italy. With over 2000 regional wine varieties, plus wines produced that when tasted are mostly noted as being excellent food wines, there is no doubt Italy fits this category. For example, the classic Chianti with pasta and tomato sauce. Both classic to Italy, both classic to each other, both create a pairing worth having. Valpolicella and antipasto belong together. Everywhere you turn, there is a wine that is meant to be paired with that Italian dish from that Italian region. It is a beautiful thing! There are so many examples, most of which I do not know, but that can be provided. My trouble has become – what of Ontario, California, New Zealand, Australia? How many people can say that a wine in one of these regions has been made to perfectly match a classic dish from this area? I have not, as of yet, heard of any examples and this is my reasoning (mostly for Ontario – where I have grown up and am only really able to talk about): we are influenced by so many different flavours and textures that we do not have one dish that is simple referred to as an Ontario classic. We also spend our efforts on growing grape varietals that will best grow in our climate. Though we dabble in varietals that may also not be the best selection for our climate, their flavour profiles from our regions don’t necessarily match food from here either. I could easily argue that our wine and our food here in Ontario provide separate entities of our lives. Then there is California. Here they have a system in place that determines which varietal will be grown in which region based on sunlight and heat factor. This system does not take into consideration food of the region and best pairings, it simple considers – based on this scale factor – which grapes grow best where. To me there is more than just distance and time that separate the “Old World” and “New World” regions of the wine world. There is also the way in which we perceive wine and how we make our decisions to grow the wine. Great wine is grown all over the world, but one of the truly great things I have come to respect very much is the way in which we take these great things – food and drink – and pair them together to bring people together and to share joy. It is one of the reasons why I love the service industry very much.